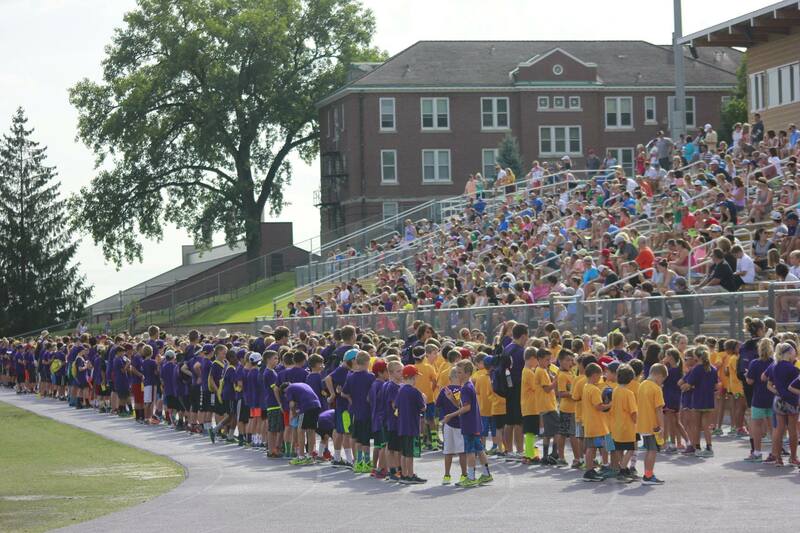 Welcome to Loras All Sports Camp! Activity choices are alloted based on time of payment. Choose Your SportsPick One Major and Two Minors. Majors are 2-1/2 hours, Minors are 1-1/2 hours. Additional sport choices will need to be selected in case first preferences are full and campers are waitlisted for a sport. Sports will be allotted the first week of March. Confirmation packets will be mailed in March. Complete Your PaddleEarned, Not Given. The child must first earn the paddle and then each child has the opportunity to earn the eight brands represented in the acronym L-C-P-A-D-D-L-E. Each letter in the acronym represents a Christian value. Love – Christianity – Perseverance – Attitude – Dedication – Discipline – Loyalty – Enthusiasm. REFUND AND CANCELLATION POLICY: For cancellations prior to May 1, the total registration deposit, less a $75 processing fee is refundable. For cancellations after May 1, the $175 Registration Deposit is forfeited. Beginning June 1, the entire tuition, including deposit, will be forfeited except for cancellations due to medical reasons verified by the attending physician. Medical cancellations must be verified within 30 days of cancellation to receive full refund (less the $175 deposit). After 30 days, only half tuition (less the $175 deposit) will be refunded. The Camp Director reserves the right to dismiss any camper whose behavior affects his/her ability to participate or is detrimental to the members of the camp. No refund will be made for absences, dismissals or withdrawals before the end of the session. In cases of withdrawal during camp based on medical reasons verified by the attending physician within 30 days of withdrawal, remaining tuition may be refunded less the $175 deposit. BALANCE DUE DATE:Final payment for all sessions is due on May 1. If full payment is not received, a late fee of $25 (per camper) will be assessed and the application will be placed on the waiting list for that session. All fees must be paid prior to camp arrival. PROGRAM CANCELLATION: Where health and safety are an issue, at the discretion of the Camp Director, programs and activities may be cancelled or postponed at any time due to inclement weather or other unanticipated circumstances of a serious matter as they arise with no refund provided. 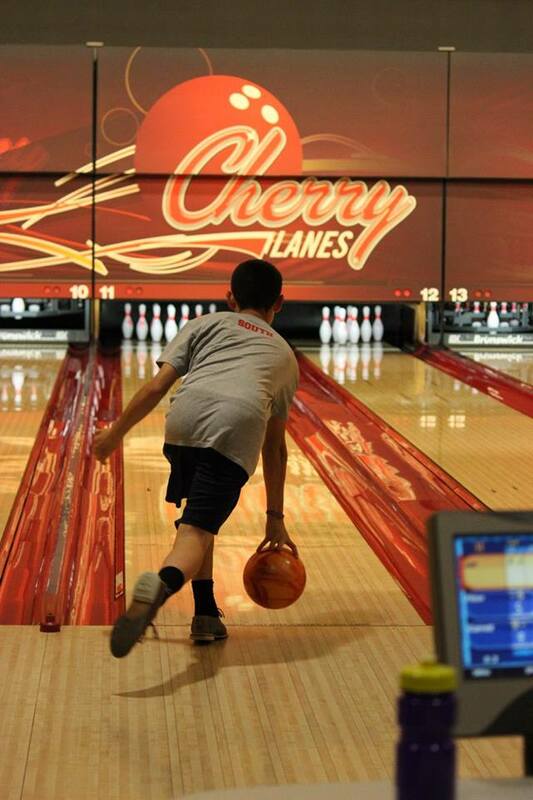 To Camp: The chartered bus will pick up campers on the Sunday morning of each session at 10:00 a.m. at the Interstate 294 North Hinsdale Oasis East exit. Clearly mark all luggage on the outside. For those campers riding the bus to camp, please pack a sack lunch. Dinner will not be served on Sunday evening until 5:30 p.m. Please do not pack camper medications in luggage. Medications will be collected by the nurse at the bus stop. From Camp: The return trip on Friday will arrive at the Interstate 294 North Hinsdale Oasis East exit between 5:00-5:30 p.m. Campers will be assigned to buses with their roommate. We ask that you do not request other campers to be with you on the bus. Buses are assigned by gender and Counselors/Staff will be available to assist campers with their luggage/fans once they arrive at their assigned dorm. Covers the basics of throwing, infield/outfield fundamentals, base running, hitting through use of drills lead-up games and game situations. Drills and lead-up games will be broken into ability groups. Minor – Covers the same as the Major except less time given to each area due to time constraints. Diving(Need towel(s), swimsuit and goggles) – Must be at the advanced beginner level. Figure Skating(Minor only, off campus, $50 fee) Ice Skates provided if needed. Long pants and sweatshirt recommended. Major - Involves the development of skills and techniques for playing the different positions in offense, defense, and special teams. Involves a variety of drill work, games and punt, pass and kick competition. Ice Skating-Learn to Skate(Minor only, off campus, $50 fee) Ice Skates provided if needed. **The Dubuque Dragon Boat is an original wooden boat from China. It was donated from the Field Museum of Chicago. Models were made from that boat to create new boats made from fiberglass. The boat is 40 feet long and about 4 feet wide in the middle. The boat weighs 2,000 lbs. without the paddlers. A dragon boat team consists of 18 paddlers, a drummer (who is the coach), a flag catcher, and a sterns man. Paddlers sit side by side, two rows of nine, and work together to move the boat 300 meters to the finish. To win the race, the flag catcher must climb on top of the dragon’s head and reach out and grab the flag. In the Midwest, most races are 300 meters long and two boats race against each other for the fastest time. Roller-Skating/Blading (Minor only, off campus, skates/rollerblades provided - may bring own skates if stopper/brake is NOT black $45 fee). Introduced to rules of playing the game, skills of ball handling, passing, picking up and setting down ball, line running, and kicks. Drills, relays and various lead-up games will be used to teach the skills. Campers will also have an opportunity to play a controlled scrimmage. Major-Rules of the game and skills of dribbling, passing/receiving, trapping/heading and finishing/shooting will be introduced and practiced. Drills, small-sided games and large-sided games as well as league play will be utilized. Each camper will be introduced to basic movement patterns of sports. The emphasis will be on teaching proper techinques in all aspects of training for sports. The program will include a total body workout, dynamic warm-up, strength training, speed, agility, and competitive activities. All to enchance athletic performance and to decrease the risk of injury. 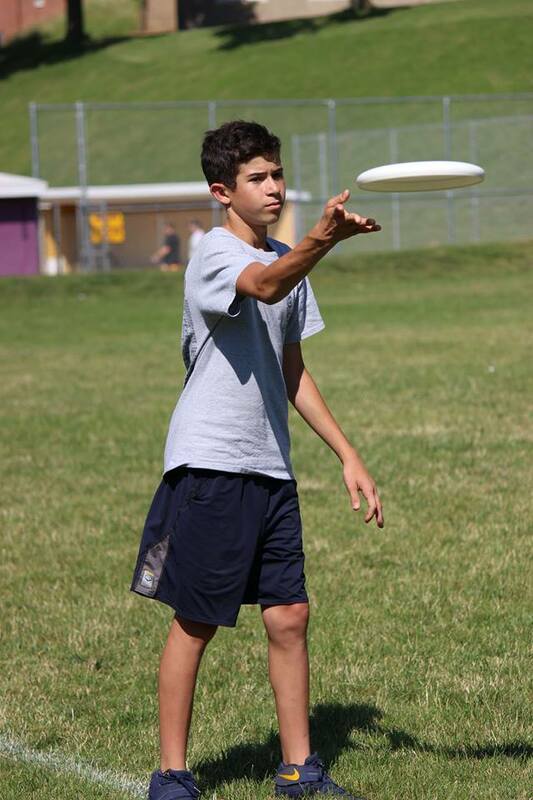 Major-Campers will be divided into three groups based upon age. Each group will be given an opportunity to develop skills in sprinting, starts, relay hand-offs, hurdles, high jump, long jump, triple jump, pole vault, shot put, discus and javelin. Station teaching, drills, games, relays, and videotaping will be used. Minor–Same as Majors except no videotaping and less time and practice due to shortened time interval. Short Sleeve T-shirt, drawstring bag, 2 additional items, drink vouchers and snacks. Equipment needed for major and minor instruction. Equipment for free time (swimsuit, towel, and 1 change of clothes). 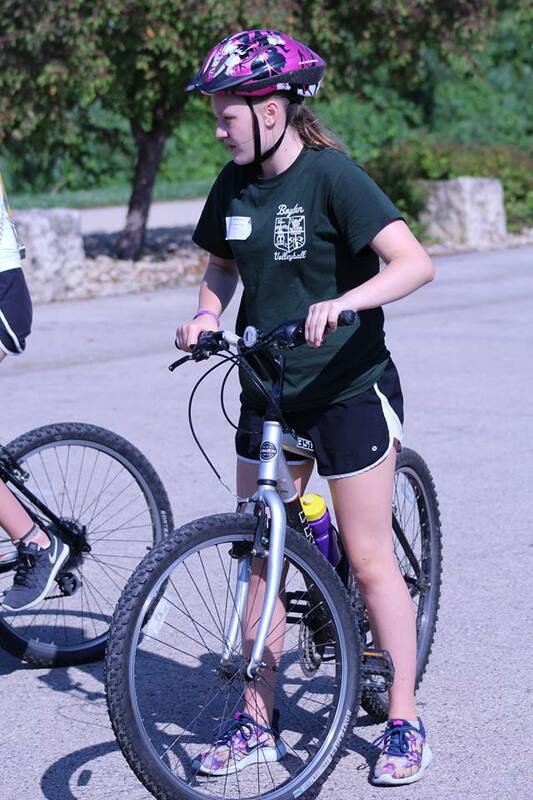 Loras All-Sports Camp is an athletic/activity-oriented camp and we require the ‘sports look’ at all times. Athletic shoes, socks, shorts, and shirts are to be worn at all times. ‘Short shorts,’ rolled shorts,yoga/tight fitting excercise pants, spaghetti strap tops, strapless tops, bare midriffs, and sandals are no allowed. NO jewelry, pierced or otherwise, is to be worn during instruction and activities for safety reasons. No expensive, dressy outfits are necessary. Aerial Dance: Leotards or tighter fitting shorts and top. Baseball: Glove required; hat or visor optional. Biking: Bike Helmet, insect repellent. Canoeing: Extra swimsuit, water shoes or flip-flops, sunscreen/insect repellent. Football: Football shoes are suggested but not required. Gymnastics: Leotards or tighter fitting shorts and top. Golf: Bag, balls, clubs (driver, 3 wood, putter, 5, 7, & 9 irons. No pull-carts). Hiking: Extra shoes to be worn on trails and in woods, drawstring back pack, insect repellent, hat. Horseback Riding: Long pants required, shoes with a small heel recommended. Helmet is provided. Ice/Figure Skating: Long pants and high socks required, skates provided if needed, sweatshirt recommended. Soccer: Soccer shoes and shin guards. 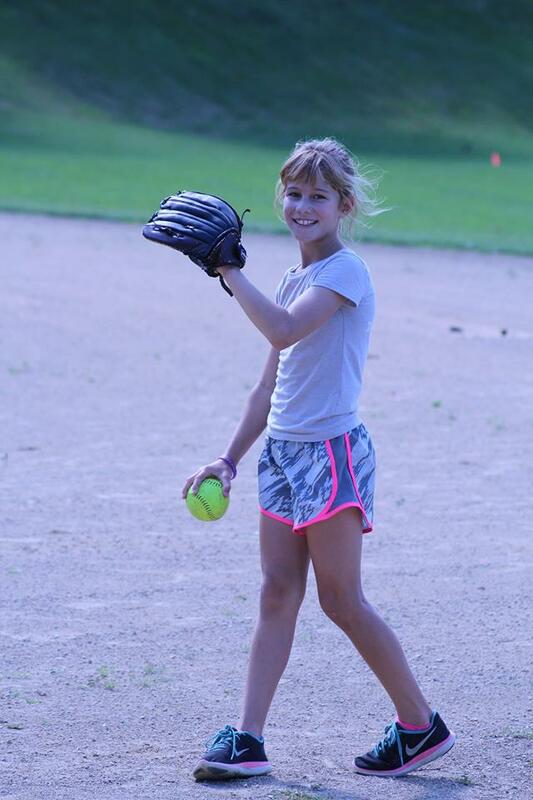 Softball: Glove required; hat or visor optional. Swimming: Goggles and additional towels; shower shoes optional. Jewelry and watches. These items are often lost and we cannot be responsible. PLEASE LIMIT SNACK FOODS AND BEVERAGES. NO REFRIGERATED ITEMS; NO GUM; NO GLASS CONTAINERS. At the end of each session on Friday, the Camp Olympics are held. This is an opportunity for parents to see thier campers in action!Below is the schedule of events. A more detailed schedule of where campers will be located throughout the day will be available upon arrival at the Rock Bowl Stadium. Please arrive early enough to allow for parking; the opening ceremony starts promptly at 9:00 a.m.
Dorms will not be opened for room pick up until after 8:45 a.m. No exceptions. 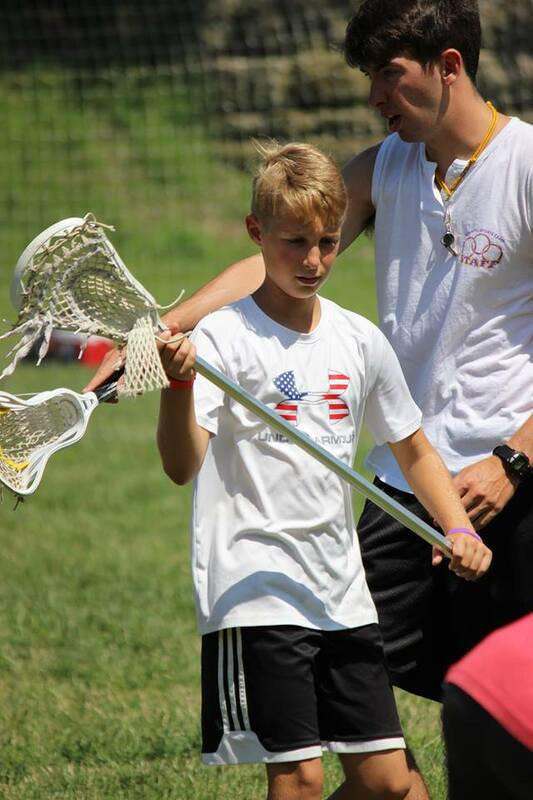 This will be Tom’s 3rd year as Director of the All-Sports Camp. He has been part of the camp for 25 years having roles as the Assistant Director, Program Director, Head Counselors and starting as a counselor in 1993. 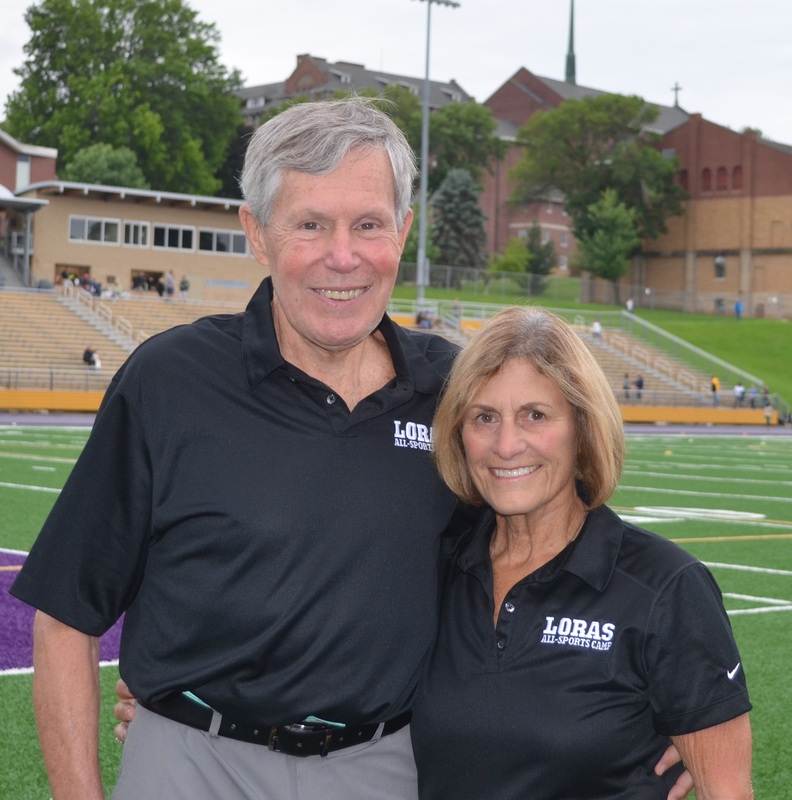 Dr. Bob Tucker and his wife, Judy, founded the All-Sports Camps at Loras College in 1982. Since that time, they have developed the camp into one of the premier sports camps for children in the country. The camp consistently attracts over 2,400 campers for the four, one-week sessions. 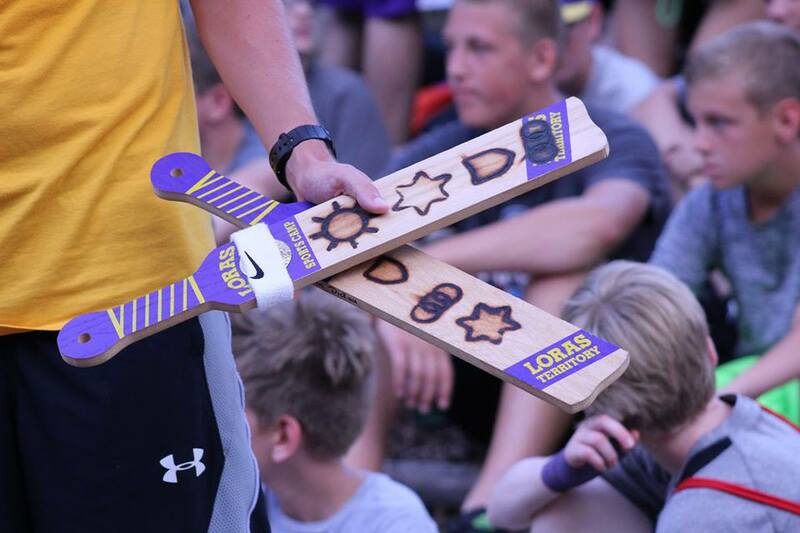 Loras All-Sports Camp is a camp where Christian values are taught and emphasized through the vehicle of sports. Staff must be comfortable talking about Christian values as represented by the brands on the paddle. Staff need to be able to facilitate small group activity and discussion. Counselors, Resident Instructors and Athletic Trainers live in the dorms with the campers and are on duty from the time the campers arrive on Sunday until they leave on Friday, with a few hours off each day. Counselors are responsible for the care and well-being of all campers in their huddle group of 8-12 campers, depending on the age of the group. Counselors also are expected to instruct in a sport during either Majors or Minors and to participate with the campers during huddle activity and huddle competition. Instructors are responsible for coaching majors and/or minors Monday through Friday. Instructors do no stay on campus during the week. Please click HERE, or the Sign Up button at the top of this webpage. After you sign up, Follow the instructions on Employment. Will I get a bill or reminder for my camp balance due? A confirmation letter will be mailed in early March and will list the payment breakdown for each camper and any balance due. This letter will also be emailed to you one week later. Final payment date is May 1. Credit cards will NOT automatically be charged. You may call the camp office to charge the remaining camper balance or check the appropriate box on the bottom portion of your confirmation letter and return it to the camp office. An email reminder is sent approximately 1 week prior to the final payment date for each session. Please be sure to have current email information in your camper account. A $25 fee will be assessed per camper for late payments. Final payment for all sessions is due on May 1. If full payment is not received, a late fee of $25 (per camper) will be assessed and the application will be placed on the waiting list for that session. If a payment plan is needed, please contact the camp office. All fees must be paid prior to camp arrival. NOTE: To complete camper forms in your account prior to the start of registration periods, you will need to select "I just want to add or update my information" from the ADD PROGRAM tab. This will allow access to the camper's dashboard before sessions are available for selection. NEW CAMPERS may use the "Sign In or Sign Up" (Upper right corner of the homepage) to create a new camper account. Multiple campers (siblings) may be added to one account. All forms need to be completed on the camper dashboard, including the Health Form, Camper Profile, Waiver, Years Attended and Heard From. Day Campers will also be asked to fill out the Huddle Buddy Request Form and the Day Camper Release Form. RETURNING CAMPERS will also use the "Sign In or Sign Up" (Upper right corner of the homepage). All forms need to be completed on the camper dashboard, including the Health Form, Camper Profile, Waiver, Years Attended and Heard From. Day Campers will also be asked to fill out the Huddle Buddy Request Form and the Day Camper Release Form. Forms are not transferrable from the prior year to ensure that all information is current. For early registration you will not be selecting camper activities at the time of session selection and making your deposit. Information on entering sport preferences will be emailed to early registrants at a later time. Activity assignments will be made in early March based on the Date and Time registrations were received. Confirmations letters will be both emailed and mailed in hard copy form in early March. Bus reservations, Care Package and One Way Email orders will also be available for selection during registration. We recommend that all camper forms are completed prior to the early and regular registration periods. This will help to expedite the selection of your session choice and making the required $175.00 minimum deposit payment. Please contact the camp office at: (563) 588-7053 if you are having trouble with password or logging into your camper account. You may also email us at sports.camp@loras.edu. What is Homesickness? How do I deal with my child and homesickness? Summer camp is a unique respite from the pressures of everyday life. In addition to being fun, attending camp is a wonderful growing and learning opportunity for your child, and will provide him/her with skills, lessons, friendships and memories that will last a lifetime. Camp is a great place to unlock a child’s potential, develop self-esteem and enhance their social skills while having the time of their lives. You as parents should feel good about providing your child with this wonderful opportunity, and the “letting go” will be good for both of you. It will help develop a healthy independence. For the first-time camper, how he/she is prepared will influence the overall experience, and parents are often the key to a rewarding and successful camp session. First of all, parents should be supportive and sensitive. 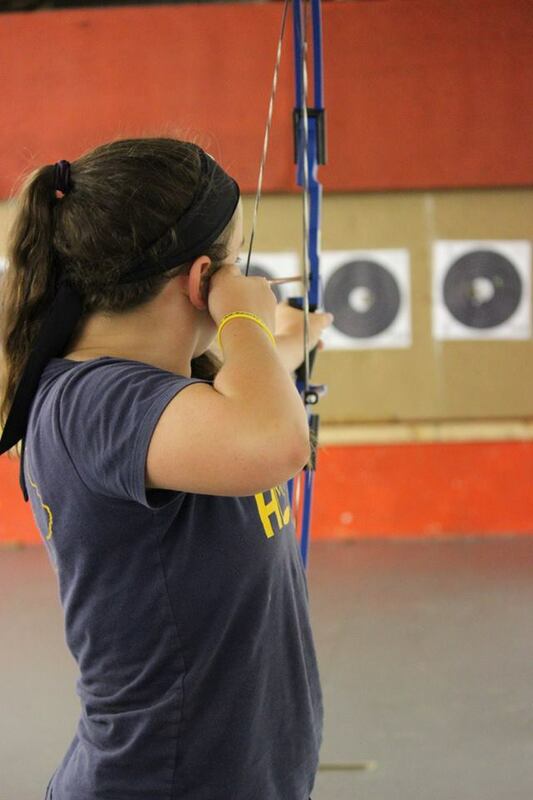 Any new experience, especially in a new environment, causes nervousness, but a positive outlook and encouragement are crucial to a successful camp experience. This includes parents as well as campers! 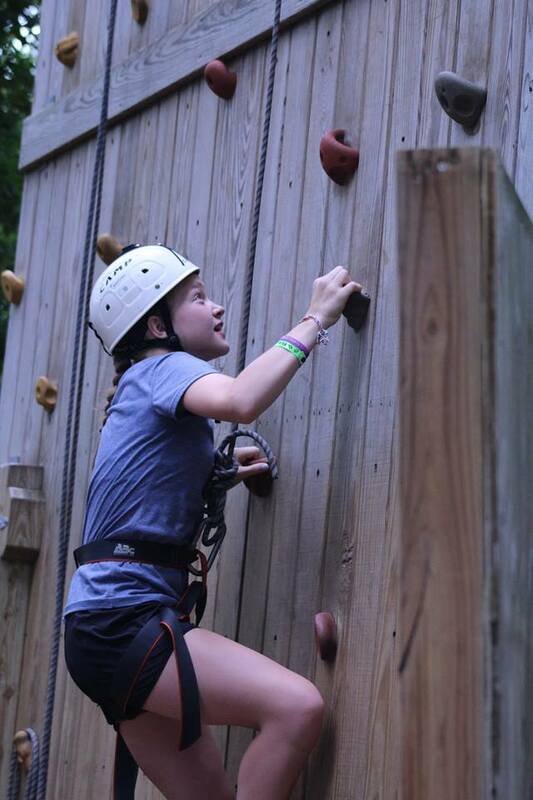 According to Bob Ditter, a social worker and former camp director, “Homesickness is as much a parent’s problem as it is a child’s problem.” Talk to your child about camp, the expectations, the activities, and the environment and, of course, the fun they will have. A prepared and encouraged child will feel less apprehensive about the impending camp term. Encourage overnight stays with friends and relatives prior to going to camp. This will help your child adjust to being away from home and adapting to new surroundings. If you should receive a homesick letter from your camper, don’t panic! If you can, wait for the next letter to see if the content has become more optimistic. Often the first couple of days are a big adjustment and it may take some time for your camper to become more involved in the program, cabin and activities and to make some friends. Be sympathetic, but positive and encouraging in your replies. Don’t dwell on how much you miss them, how lonely things are without them or giving too much information about home which may cause anxiety. Ask lots of questions about camp, their activities, new friends, and be encouraging. Also, in this day of instant access, email is wonderful for quick messages. Parents need to be careful, though, not to send so many instant “messages” that they interfere with their child’s adjustment to camp life. If things continue to look ‘grim’, be prepared to work with camp staff to help your child work through the situation. Call camp and express your concerns. Let the staff investigate the situation and get back with you. Have faith in your camper and the camp staff. Your child’s camp counselors play an important role in the adjustment process and are probably the most instrumental persons in dealing with your camper. They are prepared. Let them do the job you have entrusted them to do. We take the attitude that homesickness is a natural occurrence and simply means that a camper misses his/her family and the security of being with them. Our job is to help your camper work through these feelings and to learn to feel secure in the camp environment. Rest assured that if your child is having an extremely difficult time at camp that someone from camp will contact you to discuss the best way to handle the situation and your child. If you don’t hear from camp, but the letters home are sad, then this could mean your child is writing homesick letters, but not exhibiting homesick behavior. It is very possible that your camper is actually doing well at camp, but had a low moment of some kind which he/she needed to share with you. View this as a compliment because your child trusts you and knows he/she can count on you for comfort and encouragement at that difficult moment. Please avoid the temptation to pick your child up early if he/she is unhappy, or to “make a deal”. Avoid telling your child, “If you give camp a few days and don’t like it, I will come get you.” The offer to rescue your child is done with the best of intentions, but a child may focus on nothing else but how to make this happen and will never give camp a fair chance. Don’t feel guilty about encouraging your child to stay at camp. This opportunity is the first step toward independence and plays an important role in their growth and development. However, trust your instincts. A very small percentage of homesick cases can be severe, with a camper not eating or sleeping and suffering from severe anxiety or depression. In these circumstances, camp will work with the families and camper to get through this rough time, but in rare occasions it may be necessary for the child to go home. If this is the decision, the remaining time spent at home is vital to keeping the child productive and minimizing blows to his/her self-esteem. Discuss what worked and didn’t work for your child at camp. Emphasize that it was a learning experience and discuss what was leaned. Focus on the positive and encourage your child to try a new adventure or program next summer. We will do everything in our power to insure a memorable and happy camp experience for your child. If you have any concerns this summer, please let us know. 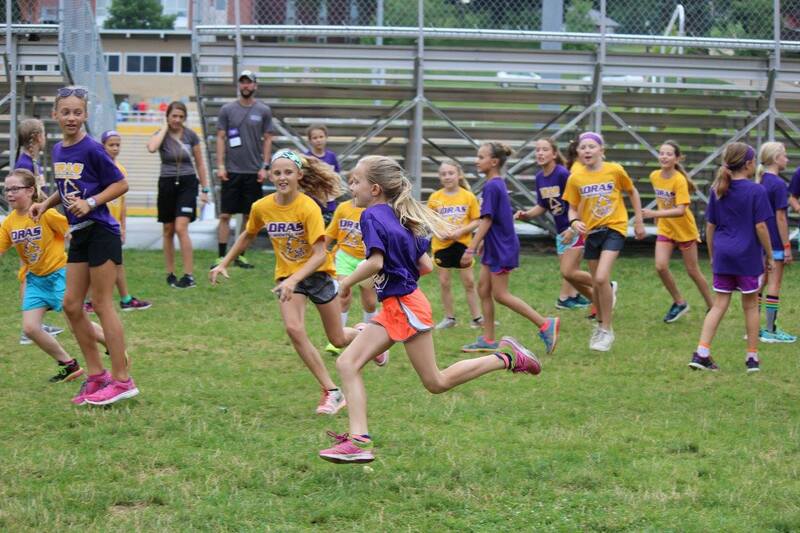 Our goal is for your camper to be with us for many summers and that Loras All-Sports camp will be their ‘home away from home”! When will I get confirmation that my child is accepted into camp? Once the payment has been processed, an Email confirmation will be sent and at that time the online status will change to “Registered”. Online Camper status will remain at “Enrolled but not registered” until the minimum deposit /payment has been processed. Activities will be assigned in March, prior to mailing confirmation letters. We appreciate your patience as we process the many applications we receive each year. How can I communicate with my child while they are at camp? Our one-way email is available on your camper dashboard. All emails will be printed daily and given to campers at breakfast. Emails will be delivered Monday-Friday. Friday morning emails must be sent no later than 11:59 p.m. Thursday evening to assure delivery Friday morning. Return emails from campers are not available. Letters may be mailed to or from campers and small care packages may be sent to the camper in care of the Loras All-Sports Camp. Please limit packages to shoe-box size or smaller. Oversized packages will not be delivered to campers. Due to camper allergies, we ask that you do not send balloons or flowers. Per the camp policy, campers are not allowed to call home or permitted to bring cellular phones or two-way radios. If your camper is having a hard time adjusting to camp, a call from the Head Counselor or Camp Director will be made to you to discuss the situation. Cell Phones, Smart Watches, Pagers or Two-Way Radios will be confiscated and held until the end of the week. Will you automatically bill my credit card on file with the balance due? No. Unless you have selected “Charge my credit card on file” on your confirmation letter or previously set up a payment plan through the camp office, your credit card will not be billed automatically. You may pay by check, by online credit card in your camper’s online account or by phoning in the credit card payment to the camp office at (563) 588-7053. Can I request a Roommate or Huddle Group? Camp is a great place to meet new friends and make lifelong memories. You may request one roommate. Please make sure the roommate also requests you. Roommates will be placed together in the same huddle group. Campers who do NOT have a requested roommate can request to be in a huddle with one other camper they know. 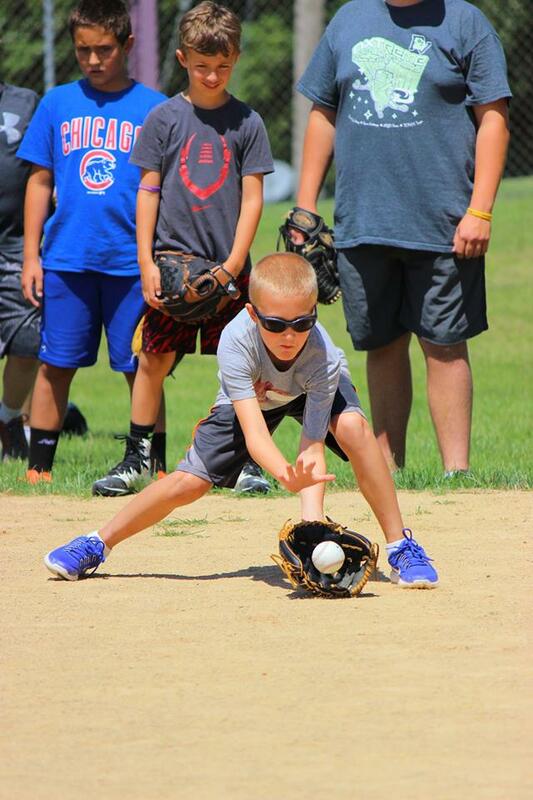 Please call the office at 563-588-7053 to obtain the Loras All-Sports Camp Request Form. For Day Campers, please fill out the required “Huddle Buddy Form” on your camper dashboard. Where does the bus leave from and drop off at? The bus leaves the Interstate 294 North Hinsdale Oasis East Exit at 10:00 a.m. on Sunday (campers need to bring a packed lunch). The returning bus back returns to the same Hinsdale Oasis on Friday at approximately 6:00 p.m. We are sorry - NO REFUNDS FOR BUS CANCELLATIONS. We ask that if you are cancelling the bus on Friday, please notify the camp office immediately so that your camper belongings are not packed on the bus. Why can't I view my camper's assigned activites in his/her online account? Once we begin the process of assigning activities to campers, the online activity side must be turned off to avoid interruptions during this process. The activities are assigned based on camper registration date/time in the order they were received into the computer. Activities will be printed on the confirmation letter and mailed and emailed in early March. Can my child request to be in my minor sports with their friends? Minors are sorted by a computer program and split into two equal afternoon sessions. There is no guarantee that you will end up in the same minor session as your friends. Majors have only one session for each activity so campers with the same major will be together. How will I know what my camper needs to bring to camp? An information sheet will be included with your confirmation email. The Information Sheet is also available on your camper’s dashboard under Downloadable Forms. This lists all the sport equipment for each sport that is required, as well as the basic necessities a camper will need throughout the week at camp. How can I redeem my camp voucher? Camp vouchers in the amount of $200 or $300 will need to be mailed into the camp office to be credited towards a camper's account. You are not able to use the vouchers towards deposits at registration time. Please mark the camper's name on the voucher before mailing. How much camp store money should my camper bring to camp? Camp store money is optional. Our camp store will be open during Sunday check-in and the Camp Olympics on Friday as well as during free-time and in the evening each day. Juices, water, candy and clothing/hats are available for sale. Please send your camper with a combination of smaller denominations. Recommended amount to bring would be $20-$40. What do I do if my child will be late arriving on Sunday? Please call the camp office to notify us of the approximate time the camper will be arriving. Campers will not be permitted to check-in after 8:00 p.m. on Sunday. Arrivals after 8:00 p.m. need to check in on Monday morning at 8:30 a.m. at the Camp office in Rohlman Hall. Campers will not be permitted to check in later than 8:30 a.m. on Monday morning. Please call the camp office with any questions at (563) 588-7053 or (563) 588-4940. All camper medications must be entered on the camper dashboard (Medication Tab). The Health Care Manager will review all camper Health Forms and contact parents regarding medications. Once this review process begins, you will no longer be able to access or change camper Health Forms or Medications. 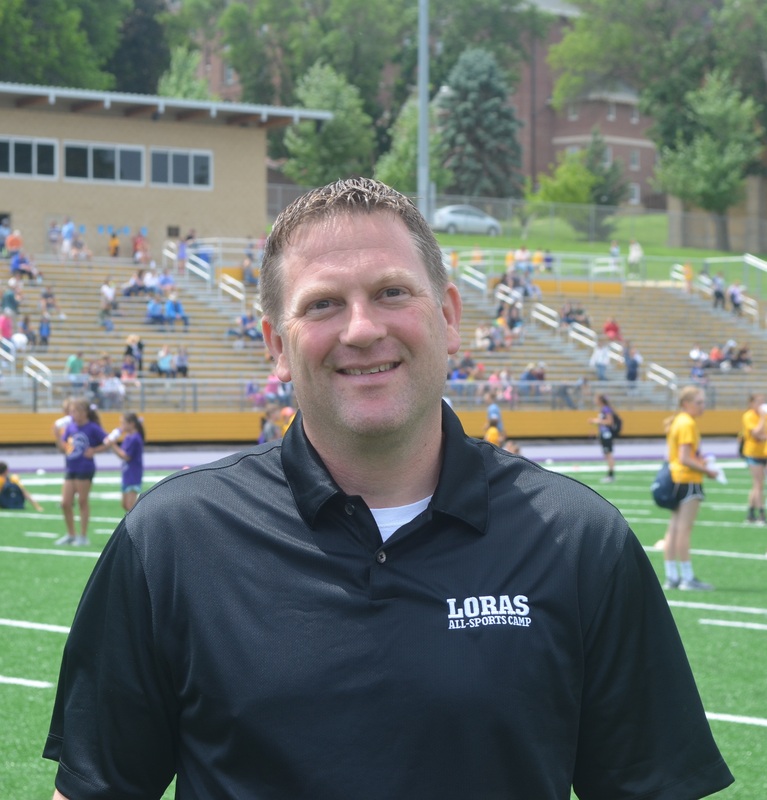 Please email or call (563) 588-7063, sportscampnurse@loras.edu. How can I request changes to my camper's session or sport activities? Please call the camp office (563) 588-7053. Changes cannot be made online. Monday-Friday 8:00 a.m. - 4:30 p.m.
Monday-Friday: 8:00 a.m. - 4:30 p.m.
Saturday: 9:00 a.m. - 1:00 p.m.
Sunday: 8:00 a.m. - 9:00 p.m.